Rebecca Mead's best-seller My Life in Middlemarch is a personal ode to George Eliot's great 1874 novel. Byatt won the 1990 Booker Prize for this novel, in which two modern-day scholars discover a previously unknown romance between their 19th-century objects of study. Byatt's deep immersion in Victorian literature and her familiarity with late-20th-century academia allow her to create two utterly persuasive, intersecting worlds. 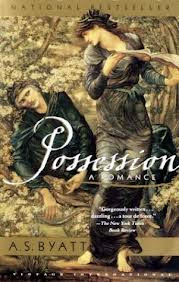 Possession also appears on Marina Warner ten top list of fairytales, Ester Bloom's top ten list of fictional feminists, Niall Williams's list of ten of the best books that manage to make heroes out of readers, Kyle Minor's list of fifteen of the hottest affairs in literature, Emily Temple's list of the fifty greatest campus novels ever written, John Mullan's lists of ten of the best fossils in literature, ten of the most memorable libraries in literature, ten of the best fictional poets, ten of the best locks of hair in fiction, ten of the best graveyard scenes in fiction, and ten of the best lawyers in literature, and on Rachel Syme's list of the ten most attractive men in literature, Christina Koning's critic's chart of six top romances, and Elizabeth Kostova's top ten list of books for winter nights. What is Tracy Weber reading? Pg. 69: Kate Riordan's "Fiercombe Manor"
What is Auston Habershaw reading? Pg. 69: Laura Lippman's "Hush Hush"
What is Laura Grace Weldon reading? Pg. 99: Todd Endelman's "Leaving the Jewish Fold"
Pg. 69: Auston Habershaw's "The Iron Ring"
What is Tom Santopietro reading? Pg. 99: Bryan R. Early's "Busted Sanctions"
What is Elliot Ackerman reading? Pg. 69: Wendy Lee's "Across a Green Ocean"
What is Victoria Scott reading? Pg. 99: Mary Pilon's "The Monopolists"
What is Leanna Renee Hieber reading? Pg. 69: Elliot Ackerman's "Green on Blue"
What is Wendy Lee reading? Pg. 69: Diane Stanley's "The Chosen Prince"
What is Brenda Chapman reading? Pg. 69: Frances Brody's "A Woman Unknown"
Pg. 99: Doug Rossinow's "The Reagan Era"
What is Diane Stanley reading? Pg. 69: Brian Yansky's "Utopia, Iowa"
Pg. 69: Brenda Chapman's "Butterfly Kills"
Pg. 99: Chad Broughton's "Boom, Bust, Exodus"
What is Brian Yansky reading? Pg. 69: Tracy Weber's "A Killer Retreat"
What is Cat Hellisen reading? Pg. 69: Tom Cooper's "The Marauders"
What is Tom Cooper reading? Pg. 69: Cat Hellisen's "Beastkeeper"
What is Sally Hepworth reading? Pg. 69: Patricia Bracewell's "The Price of Blood"
Pg. 99: John D. Fair's "Mr. America"
What is Patricia Bracewell reading? Pg. 69: John Burley's "The Forgetting Place"
What is Peter Swanson reading? 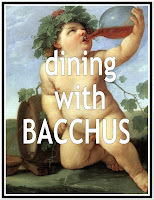 What is Dennis Palumbo reading? Pg, 69: Peter Swanson's "The Kind Worth Killing"
What is John Fair reading? Pg. 99: Scott H. Podolsky's "The Antibiotic Era"